Here are authentic Scandinavian recipes with a modern twist, shot on location in Scandinavia. The book is suffused with 'hygge', a Danish word that has no English equivalent but means cosiness, or relaxing with friends over good food and drink. Trine Hahnemann is the leading authority on Scandinavian baking, and here she holds the hand of the uninitiated baker and leads them through the mysteries of baking bread, always with an eye to the practicalities of creating great bread at home. Here you will find no complicated recipes, or sourdough starters that need as much tending as a baby. Instead, Trine teaches us how we can fit the making of bread into our busy lives, without compromising on quality. Scandinavian crispbreads abound, as do savoury tarts and recipes from the smorrebrod. And then there's the sweet baking - a recipe for each kind of Danish pastry you could ever wish for, a cookie for every occasion, and mouth-watering layer cakes, coffee cakes and cream buns. The Midsummer and Christmas festivities are built around the making of cakes, cookies and breads of all sorts, and the baking celebrations of both seasons are included in the book. 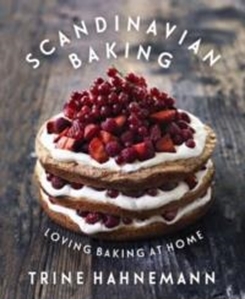 Throughout the book, Trine writes about the baking world in Scandinavia: the tradition of the 'cake table' party; how spices came to the frozen north; or how using older strains of grain will boost the nutritional worth of your daily bread.